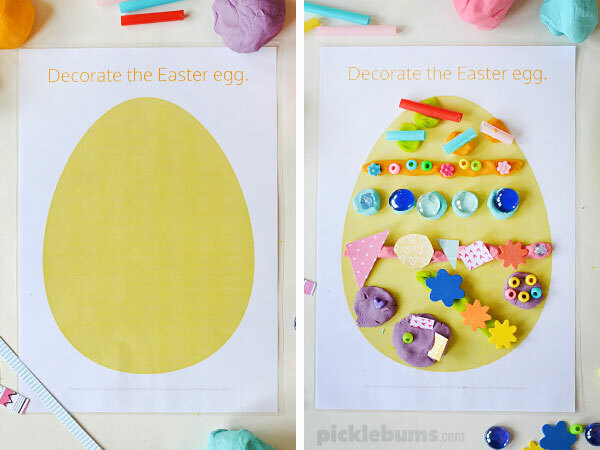 Excellent Easter Activities for All Ages! Easter is so much earlier than usual this year. It's certainly crept up on us and will be here before we know it! So it's time for me to start planning and thinking about the activities we are going to do in the classroom and at home. Part of my role at school this year is preparing our morning "provocations" activities for all four Early Years classes. 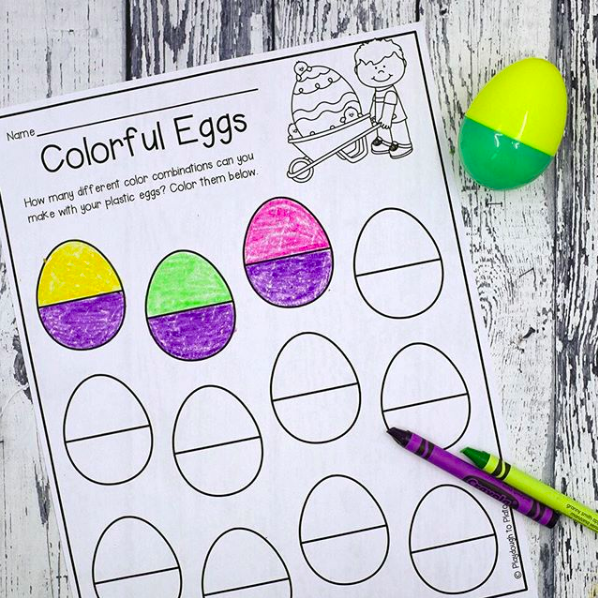 This means 5 activities per class, with enough materials in each activity for a small group of four children to use. So that's a total of 20 activities for more than 80 children! After a week, we rotate the set of activities around to another class to always keep them fresh and interesting. So the first suggestion I have in the lead up to Easter this year is to keep your egg cartons! I've discovered so many cool ways to use them in your Easter activities. 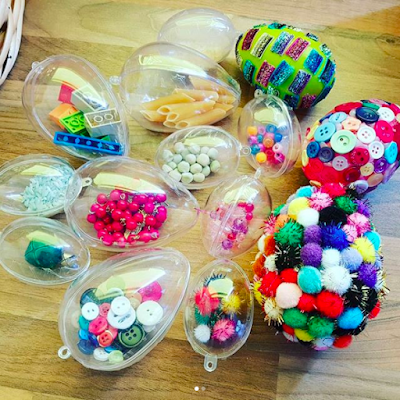 One of which is the pom pom colour sort using plastic eggs and these funky fine motor tools from The Creative Toy Shop. We are really getting stuck into learning sight words at the moment so I know that the kids will love this idea. 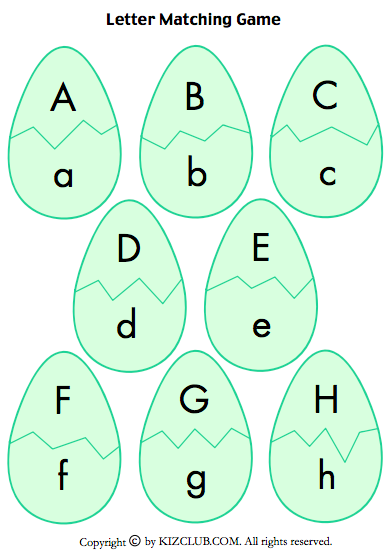 Sight words are written on small bits of paper and hidden inside the plastic eggs. Then all of the eggs are in a sensory bin filled with green shredded paper. Rainbow rice would work too! The kids can mix and match each half of the plastic eggs to make all sorts of patterns and combinations. Then they can record their work on these sheets, which come as part of the Easter STEM pack from The STEM Laboratory. There is some seriously cool stuff in here and as you probably know, STEM is huge at the moment so it's always great to make it topical and relevant. 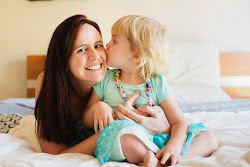 Do you all know the lovely Emma from Happy Hands Happy Heart play dough? 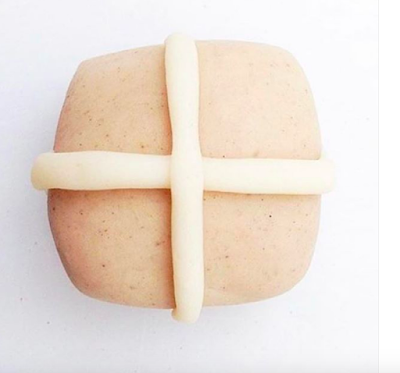 She once again has a limited edition range of Easter scented play dough including pink toasted marshmallow, hot cross bun as well as the regular chocolate all natural play dough which she has available all year round. Play dough mats are always a winner and I especially love this set from Picklebums. 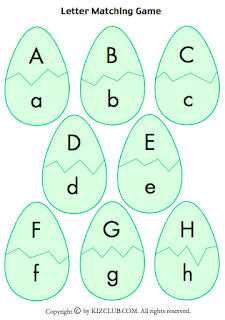 There are six different though provoking picture starters such as "Who is hatching out of the egg? ", and "Who does these ears belong to?". My favourite though is the decorating the tree. 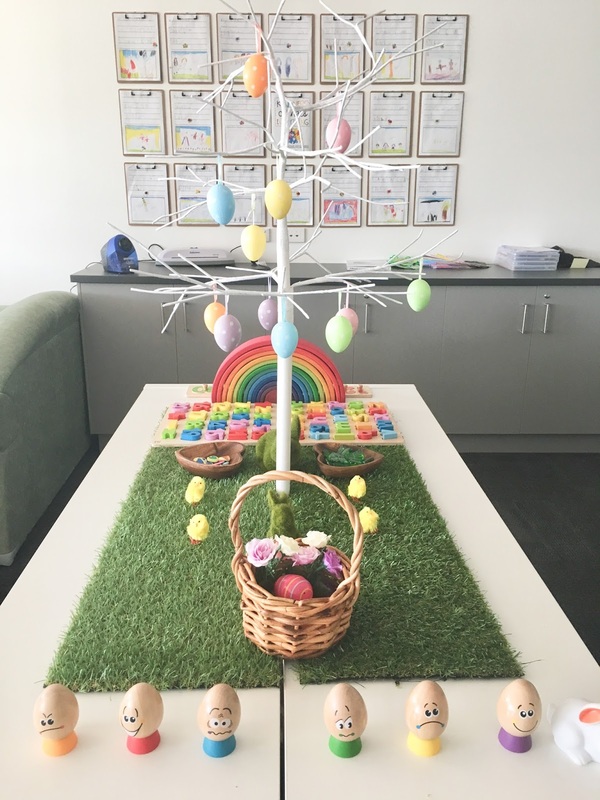 Speaking of Easter Trees, we started this tradition last year, and I believe Kmart once again has them for sale. We have this gorgeous tree as the centrepiece of our classroom and our plan is to have it changing as the year goes on. It has already been our family tree where the children drew pictures of their family on leaves. I found these chick, egg and basket dot picture printables from The Resourceful Mama but decided to laminate them and use glass pebbles to count and place on each circle instead of using dot markers. Maybe I'll even put out both options for the kids? To encourage some more learning through play opportunities I added some literacy and numeracy activities to our provocations kits as well. This simple alphabet matching game is from Kizclub, and the number tracing is from A to Z of Teacher Stuff (I also laminated this one for children to use white board textas on). I came across this brilliant idea from Becky's Treasure Baskets on Instagram (she's based in the UK), but I soon found that these clear eggs are available from Spotlight! 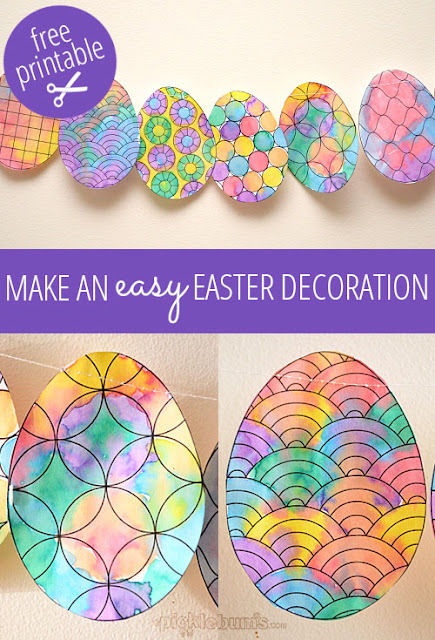 Great for filling, decorating and hanging on the Easter tree. These would have to be the cutest Easter baskets I've seen! 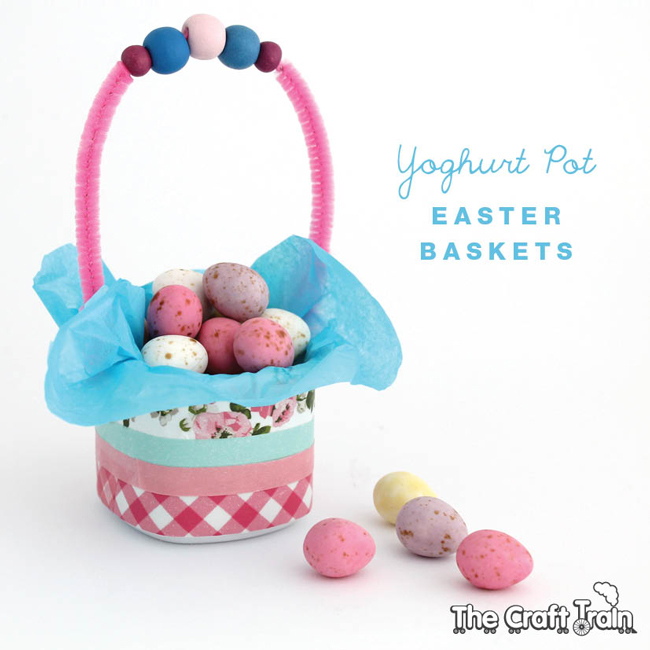 Made by Kate from The Craft Train from a yoghurt pot, they are just adorable. Plus the bead threading onto the pipe cleaner is a great fine motor activity for our students. I must remember to ask our parents to start saving these! 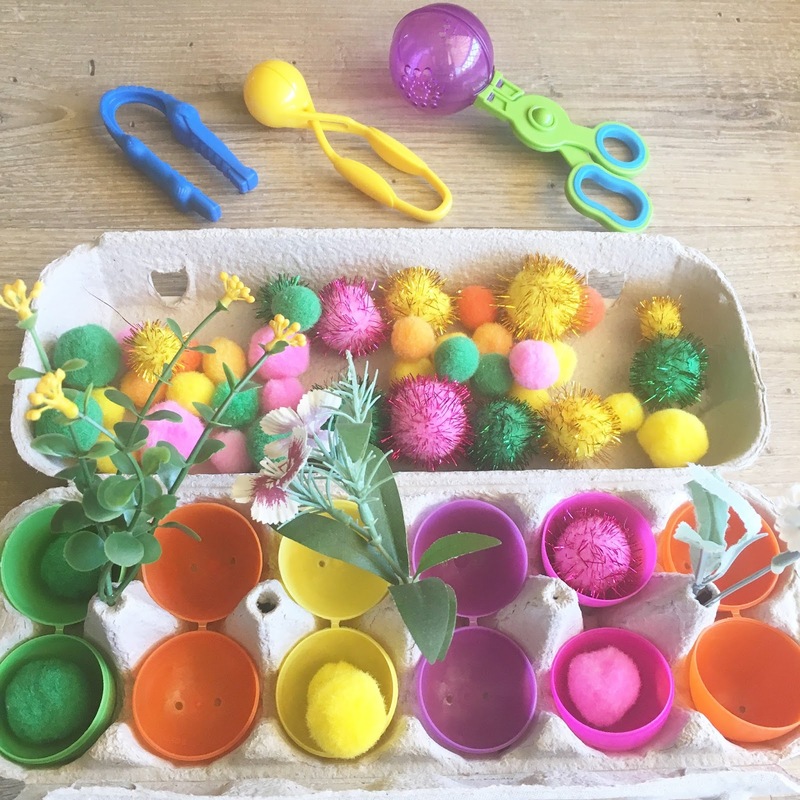 Well, I'll be sure to share some of our activities in action over on my Instagram page in the week leading up to Easter. In the meantime I hope I've shared this post with you all giving you enough time to get yourselves organised! Let me know which activities you're keen to try?